A malfunctioning or broken water heater can wreak havoc on your home. From a loss of hot water to a potential leak, there’s no shortage of problems that could arise when a water heater isn’t working properly. 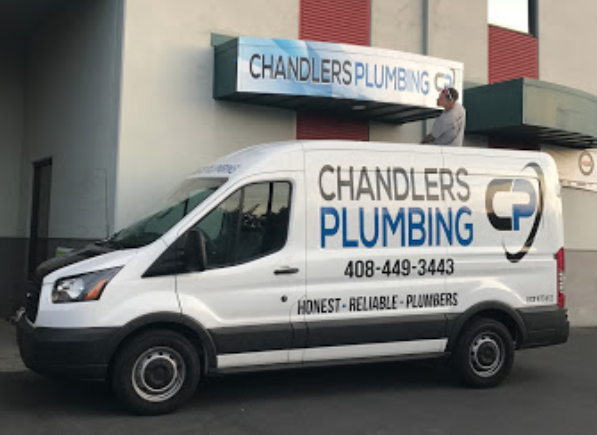 The team at Chandlers Plumbing provides expert and quick service to customers dealing with water heaters in Milpitas CA. Our repair team is sent to your location quickly in order to minimize any damage already caused by the water heater or prevent the appliance from causing damage. All of our plumbers are local and highly-trained and can fix almost all water heater issues the same-day they are dispatched. As a homeowner, you will eventually come across the need for a water heater plumber. You can trust the team at Chandlers Plumbing for your water heater repair needs. Water heater repair is an important service you will wind up needing at least once in your life if you own a home. That’s why you need to have a trusted plumber’s phone number saved in your phonebook for quick calls. Repairing a broken water heater is not easy and you should never try it yourself. It’s always best to work with a licensed and reputable plumber. Need Affordable Water Heater Repair in Milpitas CA? Noisy tank: a noisy water heater tank can be very annoying. It could also be a sign that there is something wrong. For the most part, a noisy tank is a sign that there is too much sediment at the bottom of it. Smelly water: does the hot water smell when you get a shower, wash the dishes, or wash your hands? If so, it might mean that the tank has been infected with some sort of bacteria. Leaks: a water heater tank that leaks means that it is too old and it’s time for a new one. These heaters usually last anywhere from 10 to 20 years, so don’t push your luck and wind up having 60 gallons of water in your basement. No hot water: when you go to take a shower or wash the dishes and there’s no hot water coming from the spigots, you have an issue with the heater itself. If it is a gas-fed heater there’s probably an issue with the pilot light. If the heater is fed by electric, you could have a bad heating element. Both of these issues should be handled by a plumber. Below you will find a list of the most common signs of a failing water heater. It’s imperative that you learn these signs so you don’t wait too long to call our licensed and experienced team to make the necessary repairs. Popping sounds: the mineral deposits in the tank will cause the tank to overheat, which leads to popping sounds. Cloudy water: if you are seeing cloudy water in any of your appliances or spigots, you have an issue with the water heater. Rusty connections: if any of the connections on the water heater, or inside the tank, are rusted, you will need to have them replaced in order for the tank to work properly. The most common part is the anode rod. This is placed inside the tank to prevent corrosion in the water. It should be replaced every three years or so. Bad valves: there is a pressure release valve on the water heater in your home. If this valve goes bad or is capped off, it can lead to the tank exploding, which can be very dangerous and even deadly. This valve should be tested annually to ensure it is in good working condition. This section takes a look at some frequently asked questions regarding water heater installation & replacement. For starters, the biggest sign that your water heater is past the point of repair is if it is leaking. A leaking water heater cannot and should not be repaired. Instead, it should be replaced. A leak is usually a sign that the heater has reached its life expectancy. A leak can lead to a flood of your home. Replace the water heater immediately. The size: determining the size of the water heater should be based on the demand of the household. If you have just one bathroom and no dishwasher, you can get away with a smaller unit. If you have multiple bathrooms with a dishwasher and washing machine, it’s best to go with a larger unit. Tankless or storage: this is a determination that you make based on your personal preference. Both can heat water efficiently but a tankless water heater provides less supply and can only heat water at two locations at the same time. Type of fuel: what does your current water heater use as fuel? Is it backed by electricity, propane, or gas? You need to find a water heater that can use whatever type of fuel you have available in your home. Cost: You need to look at the cost of the unit. A unit that is high-efficiency will cost more compared to one that offers less efficiency. If you go with high-efficiency, the savings on your utility bill will eventually offset the higher cost of the unit. If your water heater uses gas to heat the water, it should last anywhere from eight to 12 years. If the unit is heated using electricity, you can expect a bit longer life expectancy of 10 to 15 years. It’s not out of the realm of possibility to install a new water heater yourself. You will run the risk of having something go wrong, which is why it’s always best to have a licensed and experienced plumber from Chandlers Plumbing handle the installation for you. Performing the work yourself can lead to issues with leaks, pressure, and even the gas connection. These are all problems best left to the professionals. Water heaters are appliances that should only be handled by licensed plumbers. There’s too much that can go wrong if you try to conduct any repairs yourself. That’s why you should call the team at Chandlers Plumbing. With more than 25 years of plumbing experience, our team is highly-trained, local, and ready to tackle any project.